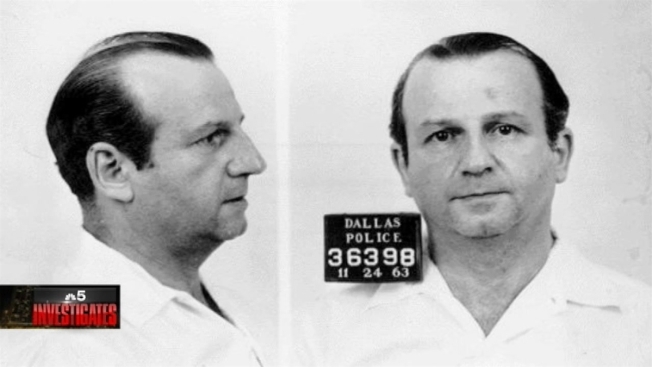 Jack Ruby grew up in a crowded house in Chicago. In fact, lots of them. Ruby and his eight siblings moved repeatedly, children of an alcoholic father and a mother they remembered as domineering and angry. The parents kept kosher but often had little to put on the table. Fannie Rubenstein would be confined more than once to the state mental hospital in Elgin, leaving her children to fend for themselves, often shuttled to foster homes and families. Ruby left Chicago for what he hoped would be a better life in Dallas in 1947. And 16 years later, he fired a single shot which deprived the world from learning the absolute truth about the assassination of President John F. Kennedy. "He always wore a suit and hat," recalled a Ruby niece, one of two surviving relatives in Chicago. She asked that we not give her identity, because of repeated reprisals over the years. The daughter of Ruby’s sister, Eileen, the 60-year-old woman says she vividly remembers a trip to see her uncle Jack just three months before the assassination. She was just 10 years old. "He had a wonderful dog who would never come out from under the bed to play with us," she recalled. That dog, Ruby’s beloved dachshund Sheba, would later become a piece of evidence in the investigation. "You know, he was outgoing and gregarious, and laughed a lot," said a sister, who has also kept her relationship to Ruby so secret that she has not told her own children. As the two sisters told their story for the first time, one said that her efforts over the years to explain her uncle’s actions had proven largely fruitless with listeners who refuse to believe that a larger conspiracy was not afoot. "They don’t want to hear a simple story like he was a hothead guy, a really emotional guy in the wrong place at the wrong time," she said. "I have tried at various times over the years and it’s gone bad." Sitting in the living room of a north side high rise, the sisters showed a visiting reporter mementoes of their uncle Jack: his "JR" cufflinks, a locket which Ruby gave their mother, and the checkerboard he used in jail. "After the assassination, when he was in prison, he would call our house a lot," one recalled. Her older sister added: "He was always sort of apologetic and many times he would sort of start to cry, and ask for forgiveness for what he had done to the family." But it was a different phone call they remembered the most. It was the evening of the assassination, November 22, 1963. Ruby was upset. And he wanted to come home to Chicago. "Jack called and he was crying. He was upset, and he wanted to come to Chicago and be with the family for the weekend," one of his nieces recalled. But their mother told Ruby no. He needed to stay in Dallas with their sister who was recovering from surgery. No one knows for certain if Ruby would have left town if his sister had encouraged the trip. Instead, he stayed in Dallas and shot Lee Harvey Oswald in front of a national television audience two days later. "I know she felt guilty about that 'til the day she died,” one of the sisters recalled, although she said her mother rarely talked about the assassination. Instead, she would often leave to be at Ruby’s side. "After he killed Oswald, and during the trial, she’d be gone for three, four, five, even six weeks at a time." On the morning of his appointment with history, Ruby hardly displayed the planning of a cunning killer. Oswald had been scheduled for transfer from the Dallas Police jail at 10 a.m. But it wasn’t until 11 a.m. that Ruby arrived downtown, planning to wire some money to one of his dancers. He walked to the Western Union office, leaving the dog, Sheba in his car. "If he had planned to do anything, he never would have left that dog in danger," one of the sisters recalled. Instead, walking back to his car after the wire transfer, Ruby noticed activity at the entrance ramp to the Dallas Police garage. He walked down the ramp, and as Oswald emerged, he pulled the gun he always carried, and fired. A receipt from the Western Union office showed that just four minutes had elapsed. Ruby’s nieces maintained investigators got it right. Ruby was not a mobster. He had no mission. He was just a man who was overcome with grief. "Just the perfect storm, just the events came together, for that shooting to occur,' the younger sister remembered. "If he did think about it in that snap, he thought he was going to be a hero. Thought he was going to be a big shot. People were going to thank him for killing the man who killed the president."